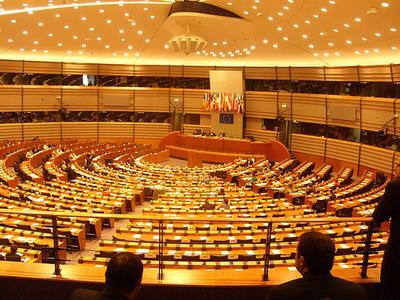 Members of the European Parliament have suggested a variety of sanctions against Belarusian authorities in order to force the country on the path towards democratization. The MPs have demanded that the EU allocate more money for Belarusian opposition movements, impose a travel ban on certain officials and ease the visa regime for students, scientists and artists. 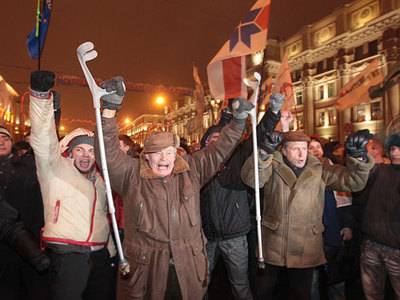 The European Parliament approved the statement on Thursday, after an extraordinary debate with the participation of Belarusian opposition figures that took place on Wednesday. 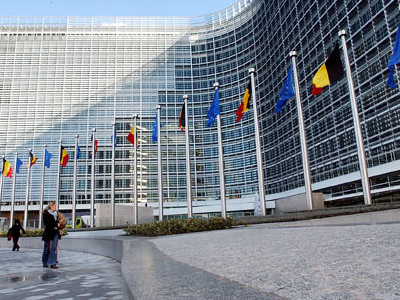 The statement was signed by the President of the European Parliament Jerzy Buzek and the Foreign Affairs Committee. The parliamentarians suggested a list of measures that should be imposed on the administration of Belarusian President Aleksander Lukashenko over the major crackdown on opposition supporters in Belarus, which took place after street protests hit the country on the day of presidential elections. Lukashenko was re-elected for a fourth term. 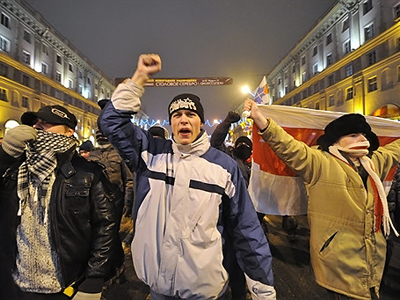 The measures include a travel ban and freeze of financial assets for Belarus officials involved in the crackdown, boosting the financial support for Belarusian civil society, independent media and NGOs, offering more financial aid to Belarusian students and lowering visa requirements for Belarusian citizens, including canceling all entry restrictions for students, scientists and artists. The assembly also called for the reconsideration of inter-parliamentary relations with Belarus. The President of the European Parliament said that all measures must be taken as soon as possible and without waiting for further abuses of human rights in Belarus. Some of the sanctions, such as travel restrictions, must remain valid until all opposition leaders in Belarus are released from prison. 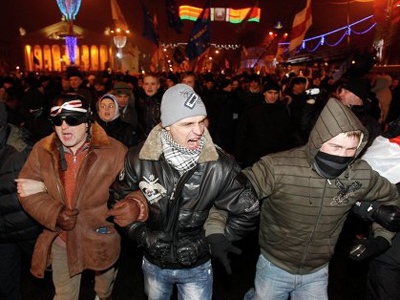 Belarusian law enforcers detained about 700 people, including several presidential candidates and several foreign citizens following the December 19 protests, and later courts sentenced them for short terms in custody for breaching public order. European parliamentarians also called for an independent international probe into the crackdown including a fact-finding mission to the Belarus capital Minsk. Also on Thursday, Russian Foreign Minister Sergey Lavrov said that the resolution passed earlier by Council of Europe also reflects Russia’s position. This resolution directed an inquiry by demanding Belarus clarify the detention of opposition leaders, human rights activists and journalists after the presidential elections. The Russian minister said that while Russia had managed to secure the release of some of its citizens accused of riots, several people remain in custody.